OTTAWA, Ont. 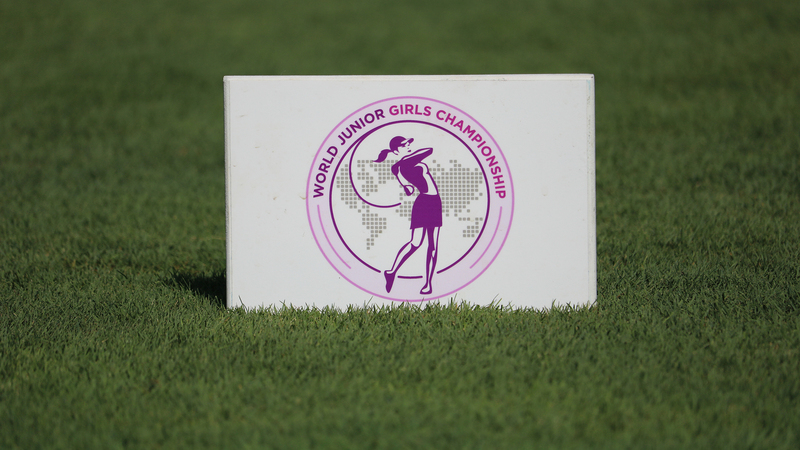 — A well-accomplished field of competitors will take to Camelot Golf and Country Club from Sept. 11–14, for the fifth annual World Junior Girls Championship. In total, 57 athletes will represent 18 countries—including two teams from host nation Canada. This year’s field is highlighted by 10 competitors ranked inside the World Golf Amateur Rankings (WAGR) top 100. The tournament’s top-ranked player, Atthaya Thitikul (No. 11), will represent Thailand in their first World Junior Girls appearance. Thitikul has won five separate titles in 2018, including Women’s Amateur Asia-Pacific Championship and The Queen Sirikit Cup. Italy is the only country in the tournament to have all three team members ranked in WAGR’s top 100. Alessia Nobilio (No. 22) leads the team, aiming for another individual medal after capturing silver in 2017. The 16-year-old, who has seven top-five finishes this year, will be joined by 2016 bronze medallist Caterina Don (No. 69) and newcomer Emilie Paltrinieri (No. 78). The trio looks to give Italy their first team medal at the tournament. The 2018 instalment of the event will see numerous players return as 19 members of the field have played in at least one World Junior Girls Championship, including both the 2017 silver medallist Nobilio (Italy) and bronze medallist Blanca Fernandez Garcia-Poggio (Spain), who look to become the first repeat medallists in tournament history. 138th ranked Fernandez Garcia-Poggio will lead the Spanish team as they aim to become the first team to defend their World Junior Girls team title after winning last year in the tournament’s first ever team playoff. Marina Escobar Domingo (No. 143) and Marta Garcia Llorca (No. 109) join the World Junior Girls veteran in the quest for gold. Sweden will look to add a fourth team medal to their trophy case after earning one silver (2014) and two bronzes (2015 and 2017). As the only Swedish player returning to the championship, Maja Stark (No. 63) will be joined by rookies Ester Fägersten (No. 120) and Ingrid Lindblad (No. 180). Last year, the United States fell short of defending their 2016 bronze medal, finishing one stroke behind Sweden. The American team will feature three new fresh faces—Brooke Seay (No. 101), Zoe Campos (No. 125) and Michaela Morard (No. 164)—as they look to recapture their first gold since they won the inaugural World Junior Girls team title in 2014. With all of the returning teams and players, the World Junior Girls Championship is also pleased to welcome Scotland and Columbia, who will join Thailand as the three countries make their tournament debut in 2017. Columbia will send Isabella Gomez, Laura Alexandra Castillo Ordonez and Sofia Torres Villareal. The Scotland team will feature Hannah Darling, Louise Duncan and Carmen Griffiths. The strong international field will join the six players chosen to represent Canada. Céleste Dao (Notre-Dame Ile Perrot, Que. ), Ellie Szeryk (London, Ont.) and Tiffany Kong (Vancouver, B.C.) will form Canada One, while Emily Zhu (Richmond Hill, Ont. ), Sarah Beqaj (Toronto, Ont.) and Lauren Kim (Surrey, B.C.) will make up Canada Two. Team Canada will be looking for their first medal since capturing bronze at the first ever World Junior Girls in 2014. In 2017, the Spanish team fired a collective 4-under par (140) to erase an eight-stroke deficit, forcing a playoff with the Korean squad. Spain eventually came on top to win their first World Junior Girls Championship medal. The World Junior Girls Championship is conducted by Golf Canada in partnership with Golf Ontario, and supported by the R&A and International Golf Federation. Recognized as an ‘A’ ranked event by the World Amateur Golf Rankings (WAGR), the World Junior Girls Championship will run for its fifth time. Nestled in Ottawa’s east end, Camelot is no stranger to running Golf Canada championships. The venerable club has hosted the 2012 Canadian Men’s Amateur Championship, a Canadian Women’s Tour event, the 2017 Canadian Junior Girls Championship, as well as final qualifying for the 2017 CP Women’s Open. Opening ceremonies for the championship take place on Sept. 10, followed by the first round on Tuesday, September 11. The tournament’s closing ceremonies will immediately follow the conclusion of play on Friday, Sept. 14.